“How long will you be in Europe?” said the bored-looking customs agent in Iceland. It was not yet 7am,Reykjavik time, and he looked like he needed coffee as much as I did. “Three months,” I answered. I’d found out (after I bought the plane tickets) that were pushing the limits of the 90-day automatic visa that Americans have in the Schengen Area, and I hoped he wouldn’t get too specific about when our return date was. 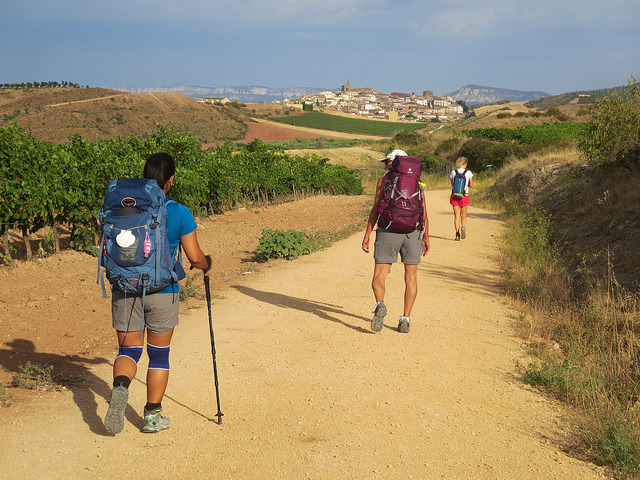 “We’re walking the Camino de Santiago across France and Spain,” I volunteered, hoping for distraction or support. He looked at us — a respectable-looking married couple in sensible hiking shoes — and stamped our passports. “Welcome to the EU,” he said. Last week there was a great essay in The New York Times about the importance of taking a sabbatical. Like us, the author was feeling burned out and without direction. Unlike us, she spent her time off at home. How did we take three months away from our regular lives, in our mid- (okay, late) thirties? “I could never go away for so long,” I hear a lot. My answer: you’d be surprised what you can do if you want it badly enough. We planned this for a very, very long time. We knew in 2013 that we would walk the Camino in the Spring of 2015. The delay was partly because I wanted to go in the spring, before the crowds and heat descended. We had special events and commitments already scheduled in the spring of 2014, so 2015 it was. We also needed some time to get our finances and plans together. We had some money in a savings account that we figured (correctly) would cover the expenses of the trip itself. 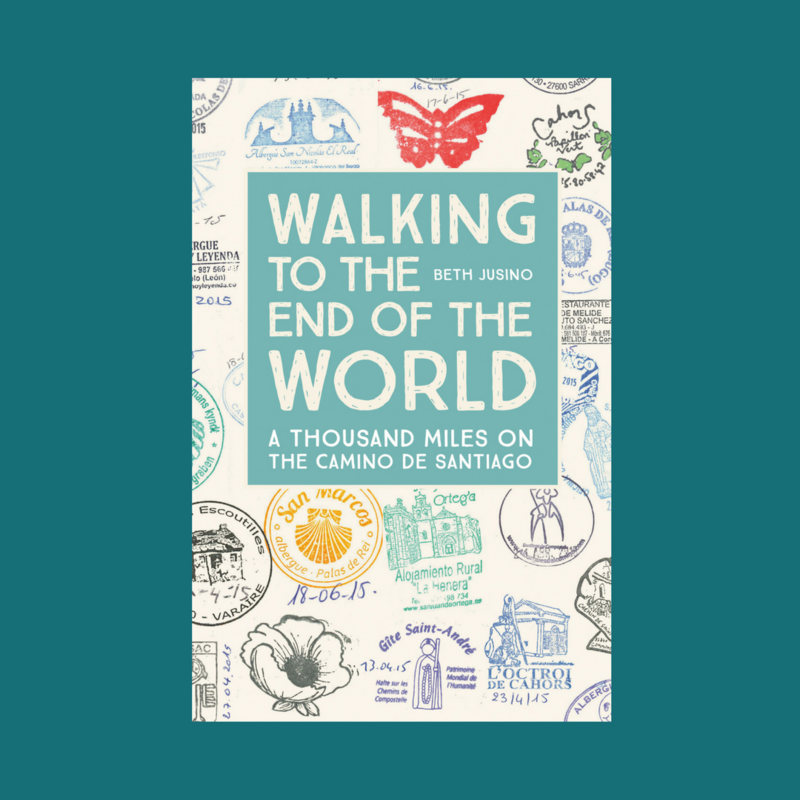 It wasn’t a lot of money, but then again, the Camino is not an expensive trip. We stayed mostly in dortoir gites and albergues, relied on our own feet for transportation, took only two cab rides in 80 days, and always carried our own bags. We never scrimped on food (or drink), but we were in the countryside most of the time, so our options were simple and inexpensive. All told, we spent less in three months than good friends spent on a ten-day Italian vacation. However, that wasn’t also going to cover the “normal” expenses of life — from the astronomically expensive health insurance premiums to the apartment (and for me, office) rent, to the cell phone bills. We needed to give ourselves a year to make sure we had enough personal savings to also cover the cost of a life we weren’t living. This sounds like it should have been the complicated part of a three-month break, but really, it wasn’t. I’m self employed, so how I use my time is up to me. But when I’m not working, I’m not making any money. (I really miss paid vacations and random bank holidays.) So for three months before we left, I worked seven days a week, racing to finish the plethora of projects on my desk. Eric has a more “normal” job, with an outside employer and a regular schedule. It’s a small nonprofit, which is great, because there aren’t a lot of arbitrary procedures or policies about employee leave. On the other, it means that every person there plays an important role, and that an absence would be felt across the organization. So a year before we left, Eric started talking to his boss and coworkers about what he was planning. He didn’t ask permission; this wasn’t really something that anyone could say “no” to. But he let them know that he valued his job and would like to come back at the end of the sabbatical (which we understood and accepted would be unpaid). I wasn’t surprised when they agreed. He has a unique role with the team he works with, and over years has built a lot of trust and respect. He worked with them on a plan that adjusted for his absence and went back three days after we got home. In 2015 we did have an old and cranky cat (still do), and an apartment, and a car, and a motorcycle. My initial plan was to save money by giving up the apartment (which I didn’t like very much back then anyway), putting our things in storage, and finding new digs when we got back. But that left me with the problem of the cat, who isn’t the type to easily integrate into someone else’s household. And when I did the math, the expenses of packing, storage, deposits on a new place, and temporary accommodation when we got back work out. It was cheaper and simpler to just pay for our apartment. And our landlord was happy to get three months’ rent in advance. But that still left us without a cat plan. We were just a few weeks from departure, and I was really starting to worry, when the best possible answer fell into our laps, the way it’s wont to do. But since this was all coming together last minute, there was a window of time between our departure date and when she could arrive. Thankfully, a good friend (hi, Chris!) stepped in and kept an eye on things (and kept the cat company). In the end, the real expenses of our sabbatical turned out to be keeping up everything at home. The only bill we could temporarily put aside was car insurance (we left both vehicles parked off the street. Of course, the car situation didn’t turn out the way we hoped, you may remember, but there was no way to predict that). We set everything up to auto pay and hoped for the best. And other than that car crisis, the best is what we got. Now that it seems like my feet are finally healing, we’re getting serious about planning the next Camino for this fall. It will be more like 5 weeks this time, not 3 months, but the same principles apply: plan ahead, communicate early, and hope that someone turns up who likes cranky old cats. The camino was one of he most beautiful things i did in my life and I met a h amazing people I am still in touch with. I’ll never forget it!